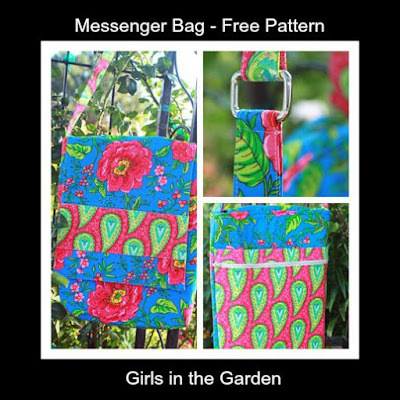 Back in 2012, I designed this bag and made a pattern. My plans were several patterns all with a garden theme name. Get it Girls in the Garden pattern company and flower names for the bag? It was a good thought but I designed two patterns. A good friend helped with the design of the covers and the pattern layout. I sold a few patterns, gave away some patterns and then for the last year nothing much happened. 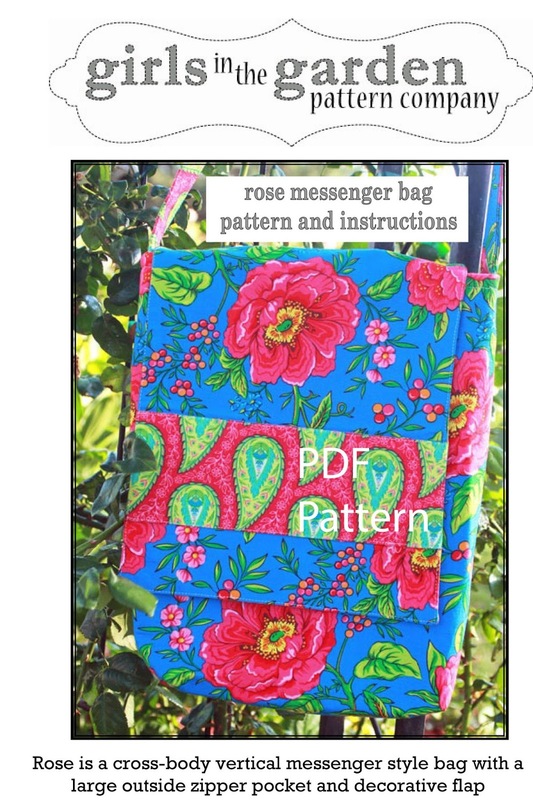 So why not just offer the pattern free for a download ? The file just sits on my computer and I thought it was just a waste of my friend's talent of designing. Here is the front cover of the pattern, didn't my friend do a great job? So if you would like to have this pattern, click on the link below to download it. I hope you enjoy it. Oh my gosh! Thank you. Thanks Lori! Will make great Christmas gift for my girlfriends! Thanks Lori! It's a beautiful bag and cover, and you're very generous to share it. Thanks so much, Lori! How very nice of you to share with us.